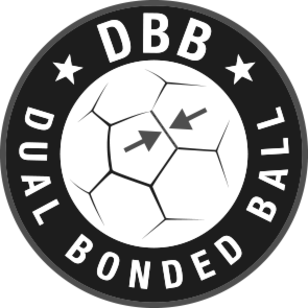 The special feature of the dual bonded production method is that the ball’s 32 panels are both stitched together and then sealed in the edges. A DB ball is a construction that consists of a TPU-material laminated with foam. Next, two layers of textile underlining are laminated to the foam layer to add stability. The panels are then printed with 3 mm. edge glue and stitched by hand or machine. The glue is activated in the heat mold to hide the stitches and the seam sealing is done by hand. By using glue in the sealing of the seams, the water uptake is reduced significantly. The bladder inside is an SR bladder with excellent air retention. The result is a football with both stability, control and a softer touch compared to other soccer balls. Choose a point above to get more info. The bladder in this ball is a reinforced SR-bladder with excellent airtightness for increased stability and controlled bounce. 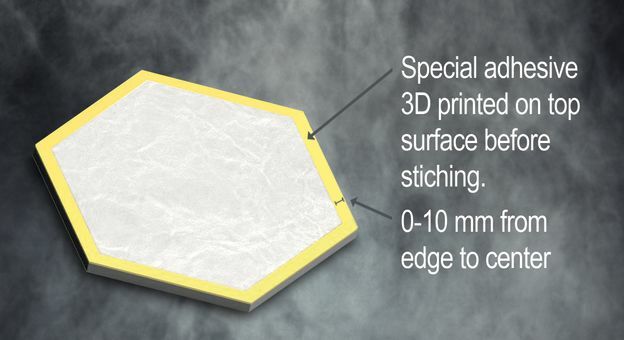 Two layers of textile underlining are laminated to the foam layer to add stability. The underlying foam is made of a 3 mm thick and exclusive material that gives the ball a softer, lighter and more comfortable touch. The outer layer of the ball is made of synthetic leather in polyurethane (PU). The surface of this material consists of lots of PU fibres, which give the football a strong surface with consistent softness. The rubber material used in our valves is well known for being airtight and together with the Double Lock system, where the air must pass through two ”gates” to escape, the ball is even more airtight than the requirements demanded by FIFA. The panels are printed with 3 mm edge glue and stitched. In the heat mold, the glue is activated to hide the stitches. 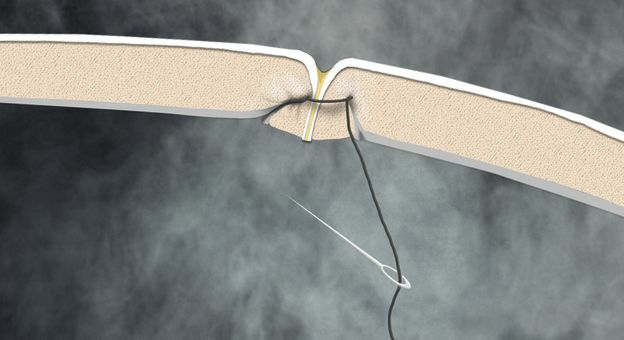 The seam sealing is done by hand, and the glue in the seams reduces the water uptake significantly.